Nast's depiction of Catholic Bishops attacking children clearly shows Nast's bias against the Church. An organization called The NJ Hall of Fame has recently nominated the cartoon artist Thomas Nast for inclusion in their Hall of Fame. 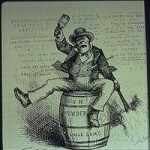 Thomas Nast is famous for some of his iconic American drawings like “Uncle Sam”. Unfortunately Nast’s work is tainted by his outward prejudice against Irish Catholics and Catholics in general. NJAOH President Sean Pender has taken a stand to call out the the NJ Hall of Fame on their selection of a person who’s bigotry was as well known as his work. Sean has written a letter to the NJ Hall of Fame demanding that they withdraw their nomination as well as make a public apology for their poorly researched nomination. Sean’s letter highlights many example’s of Nast’s public bigotry and questions how the NJ Hall of Fame’s nomination process could have overlooked Nast’s very well known public anti-Irish and anti-Catholic views. 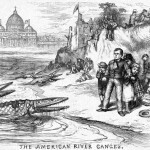 Nast, a German Protestant, saw the Roman Catholic Church as a threat to American values, and often portrayed the Irish Catholics and Catholic Church leaders in very hostile terms. 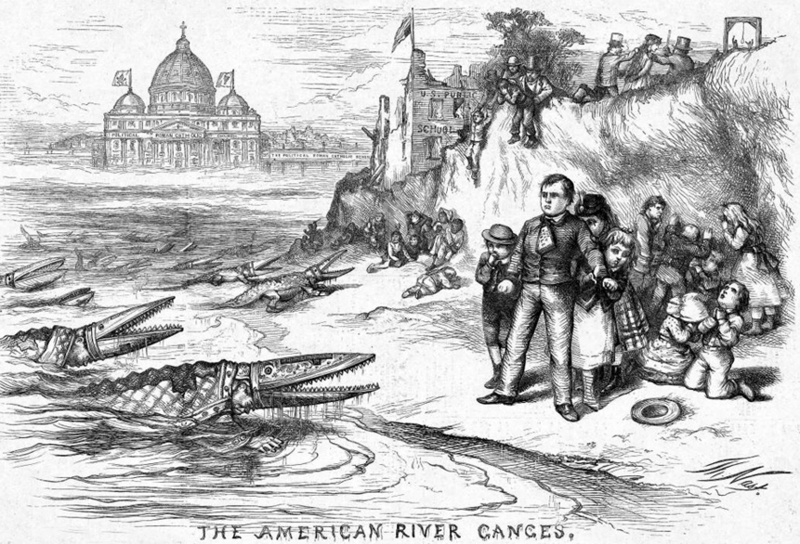 In 1871, one of his works, titled “The American River Ganges,” infamously portrayed Catholic bishops as crocodiles waiting to attack American school children. Nast’s anti-Irish sentiment is clearly apparent in his characteristic depiction of the Irish as violent drunks.